Preheat oven to 375°. In a Dutch oven, heat oil over medium heat. Add lamb and onion; cook and stir until meat is no longer pink. Stir in flour until blended. Gradually add broth. Bring to a boil; cook until thickened, 1-2 minutes, stirring to loosen browned bits from pan. Add leeks, carrots, 1 tablespoon parsley, rosemary, salt, pepper and thyme. Spoon into a greased 13x9-in. or 3-qt. baking dish. 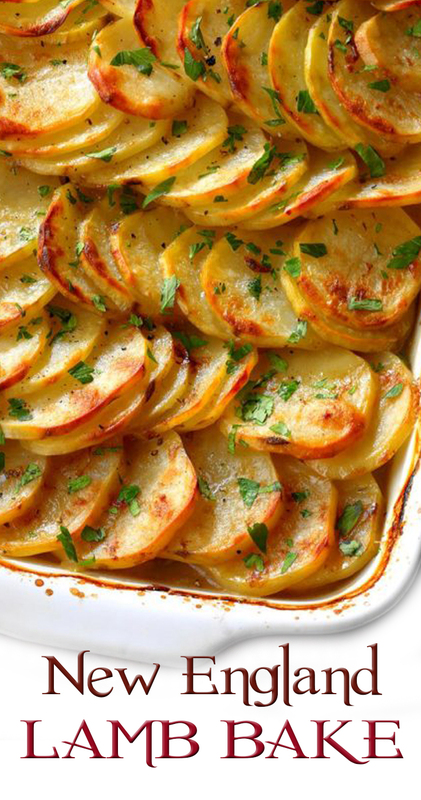 Cover with potato slices; brush with 2 tablespoons melted butter. Bake 1 hour; brush potatoes with remaining butter. Return to oven; bake until meat is tender and potatoes are golden, 30 minutes to 1 hour more. Cool briefly; sprinkle with remaining parsley. Freeze option: Remove baking dish from oven; cool completely. Before adding remaining parsley, cover dish and freeze. Freeze parsley separately. To use, partially thaw lamb in refrigerator overnight. Remove from refrigerator 30 minutes before baking; thaw remaining parsley. Preheat oven to 350°. Reheat, covered, until a thermometer reads 165°, about 1 hour. Sprinkle with remaining parsley.